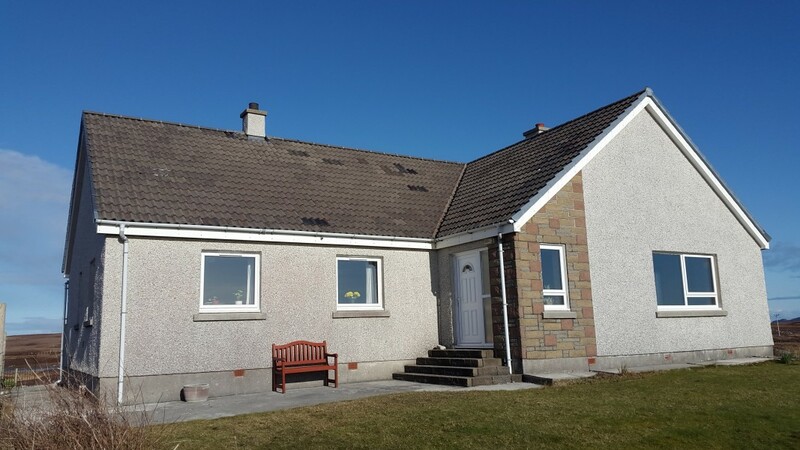 Parkhill is a large modern bungalow built in 1984 and is located on the main route from Lochmaddy to Benbecula and an ideal base for your holiday. The bungalow is equipped with oil fired central heating throughout. Ample parking is available. The 3 bedroom bungalow takes advantage of its elevated position to take in the view of the vast expanse of sea shore separating North Uist from the island of Baleshare with the Monach Isles visable on a clear day, and at night the reassuring light from the Monach Isles light house can easily be seen from the kitchen window.